Considering the tuning of the Shanling M5s, you should be mindful of the “too much of a good thing” principle. If you pair a warm monitor with this player, the potential exists to traverse passed the threshold of reason. Whether or not you are approaching said line depends on two factors: your own tolerance, and just how goddamn warm those monitors are. 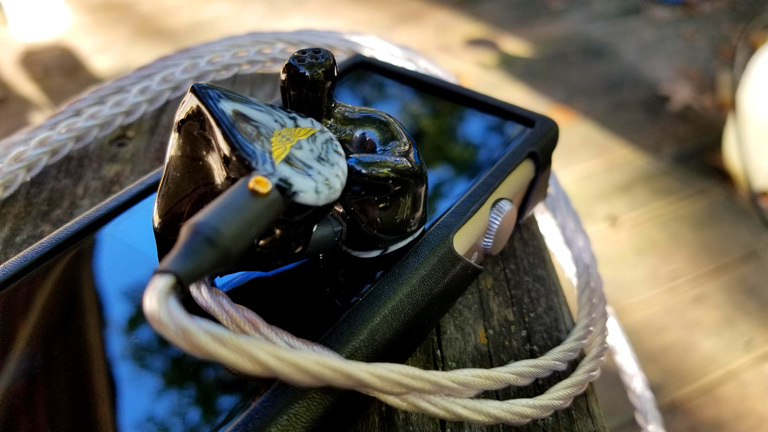 The Empire Ears Legend X ($2,299, Review HERE) is currently my favorite IEM, and has been since its release. It’s also what I used during the writing of those sound impressions on the previous page. LX’s natural warmth is balanced by tremendous clarity and sparkly, well-extended highs. This allows it to matchup with the M5s, and assimilate its smoothness, without becoming muddy. A give and take plays out, resulting in a wildly dynamic, and profoundly analogue presentation. Zero hiss on Low Gain. But what then of the much warmer Mélange Quatre by JOMO Audio? (Around $1,500, Review HERE) Well, this setup could certainly qualify as too much of a good thing for some folk. Still, with a cable like the plusSound X8 Silver+Gold, the treble and mids brighten a bit, and a wholesome balance is reached, one where musicality and articulation walk side-by-side, and mad sonics rejuvenate your kidneys. Then there’s something like Noble Audio’s Kaiser Encore ($1,850, Review HERE). This thing always sounds best on warm gear, connected to a warm cable. 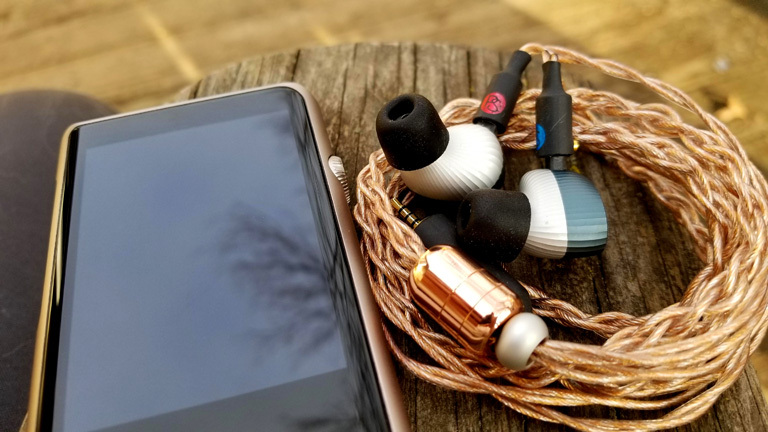 The Shanling M5s provides just what the doctor ordered, ushering in great low-end and lower-mid richness, increasing body, smoothness, and harmonics. Likewise, Encore helps the M5s with gobs of treble, revealing its capacity for detail and resolution like never before. It’s a real Yin/Yang symbiosis. Since Encore is super sensitive, it also made a good test for Shanling’s hiss factor. And on Low Gain, there was zero detectable noise. When folk ask me for IEM recs under $500, my first suggestion is the Final Audio Design E5000 ($279, Review HERE). Lamentably, this combo can be labeled, with ease, too much of a good thing. It even makes tests my own constitution. It’s not without pleasure, but… yeah, the E500 could really use a bigger, more open and detail-oriented source. iBasso’s IT04 ($499, Review HERE) makes for much nicer bedfellows. With its crisp highs, airy and articulate mids, and tight, controlled bass, these IEMs seem custom made for all the things the M5s brings to the table. It’s a lot like Encore in that way. 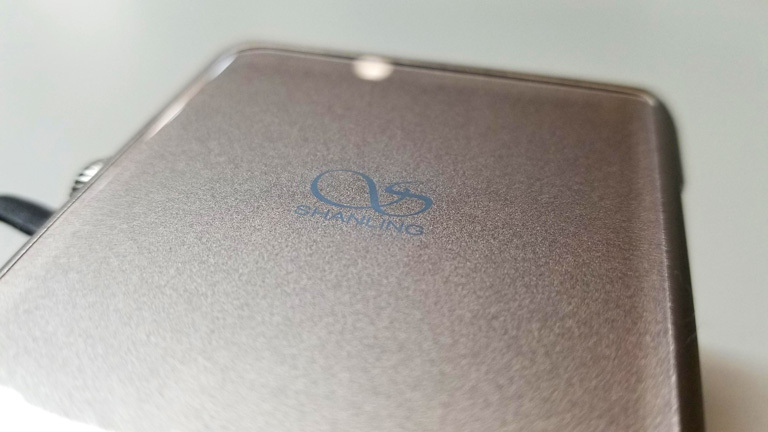 Shanling brings in the warmth and mid-range heft, and quells those highs, which can be a bit much on their own. 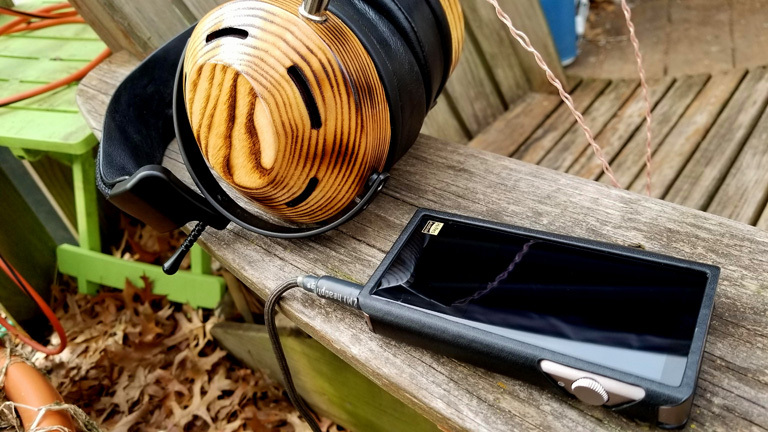 Possibly the best bang for your buck headphone in existence is the Meze 99 Classics ($309, Review HERE), with its gorgeous voicing, rich bass, and crystalline clarity. Shanling’s M5s does nothing to hinder the transparency, but really fattens up those mids, increasing warmth and acoustic resonances. Yes, these two pair together so well, I can’t imagine a more satisfying system for under $800. Of course, if money is no object, my favorite closed back cans are currently the ZMF Headphones Atticus ($1,099, Review HERE). While the M5s would work in a pinch, I’m sad to say, it’s simply not the most ideal choice. On High Gain, it sounds just tiny bit underpowered, and I miss the soundstage I know Atticus is capable of. On the plus-side, the bass hits strong and you are treated to a generally wholesome timbre that is quite pleasing. Still, for mobile use, I prefer Atticus on a mobile device with a high current amp, like iBasso or the Cayin N8.